Good news, gamers, you won't have to play for dozens of hours or burn a hole in your wallet trying to unlock Darth Vader in Star Wars Battlefront II. The video game was meant to ease the pain and suffering of the first outing, which many fans complained about for various reasons. But the sequel caused quite an uproar, including several death threats. Gamers are a dangerous bunch, apparently, because EA, the makers behind the game, have given into fans wishes somewhat. 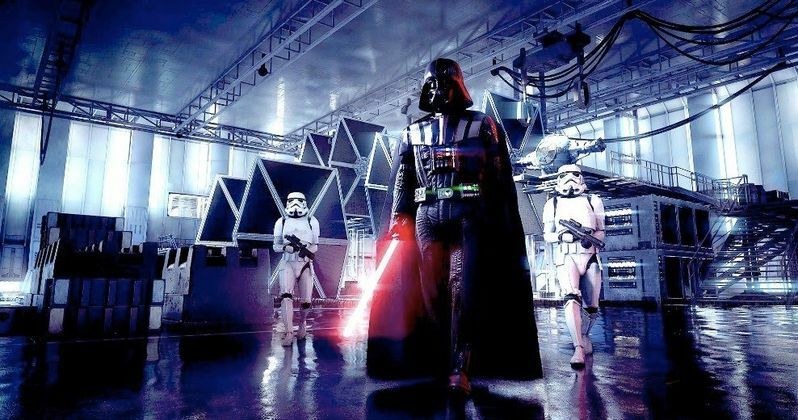 In a blog post released Monday, Electronic Arts directly addressed the outcry coming from those unhappy with Star Wars: Battlefront 2 and the fact that popular characters such as Luke Skywalker and Darth Vader weren't immediately playable. There were other issues with Loot Boxes and the amount of hours and money it would take any normal individual to beat the game and arrive at the end. EA had this to say. "Since the start of the project, listening to fans has been important in making sure Star Wars Battlefront™ II is the very best experience for all of you. We've done this with the closed alpha, through the beta last month, and our Play First Trial. And we continue to make adjustments based on your feedback as the game launches worldwide this week. Listening, and providing choices in how you play, will always be our principle with Star Wars Battlefront II. We want to ensure the game is balanced and fun both today and for years into the future. Making games great comes from regular tuning. As one example, today we're making a substantial change based on what we've seen during the Play First trial. There's been a lot of discussion around the amount of in-game credits (and time) it takes to unlock some of our heroes, especially Luke Skywalker and Darth Vader. Unlocking a hero is a great accomplishment in the game, something we want players to have fun earning. We used data from the beta to help set those levels, but it's clear that more changes were needed. So, we're reducing the amount of credits needed to unlock the top heroes by 75%. Luke Skywalker and Darth Vader will now be available for 15,000 credits; Emperor Palpatine, Chewbacca, and Leia Organa for 10,000 credits; and Iden at 5,000 credits. Based on what we've seen in the trial, this amount will make earning these heroes an achievement, but one that will be accessible for all players. It's a big change, and it's one we can make quickly. It will be live today, with an update that is getting loaded into the game. We've also been listening to how much you're loving features in the game (Starfighter Assault, 40 player MP battles, Darth Maul lightsaber throws, etc.) as well as what you haven't liked. We know some of our most passionate fans, including those in our subreddit, have voiced their opinions, and we hear you. We're making the changes to the credit levels for unlocking heroes and we're going to keep making changes to improve the game experience over time. We welcome the conversation. In fact, this Wednesday we'd like you to join us for a Reddit AMA with some of the key leads on our team. Stay tuned to our social channels for more info on the AMA, and our blog for continual updates on what we're seeing, hearing and adjusting in the game. For those of you already playing, thank you. For those of you looking forward to playing the Star Wars game you've been waiting for, thank you, too. The team is fully committed to listening to our community, continually adjusting the game, and providing even more great Star Wars content over the upcoming months and years of live service updates. More to come." Will this make Star Wars gamers happy? That has yet to be seen. Battlefront 2 is being released this week. In it, gamers are allowed to earn in-game credits, using them to unlock some of the more iconic Star Wars heroes and villains. When gamers got their hands on the prerelease, they were disgusted that some of the most popular characters cost at least 60,000 credits to unlock. This calculates out to roughly 40 hours of gameplay. There was a shortcut however. Fans with enough money could buy in-game credits with their credit cards, using real world money in microtransactions. This made gamers even more enraged. EA tried to defend their decision to release the game this way, but their response became the most down voted post in Reddit history, clocking in at 473,000 downvotes. Credit costs are being slashed by almost 75%. Luke Skywalker and Darth Vader now only cost 15,000 to play. Some of the other popular characters are even cheaper, with Emperor Palpatine, Chewbacca, and Leia Organa all dropping from 40,000 to 10,000 credits. The Wrap made the initial report about the slashed prices.